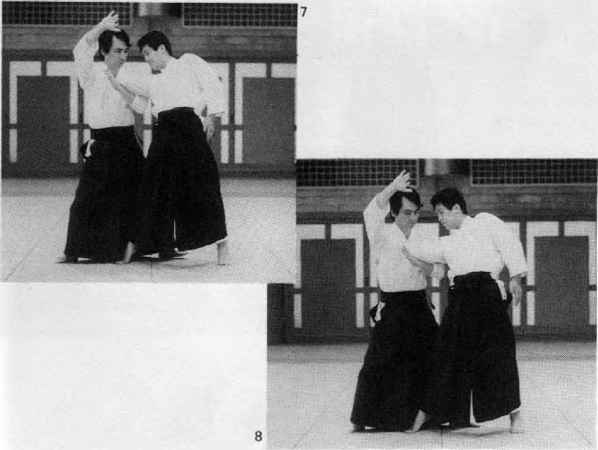 Uke grabs tori's, left sleeve with his right hand. 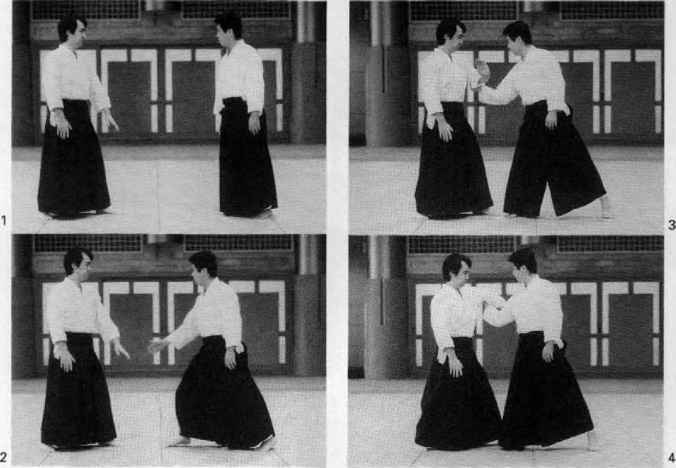 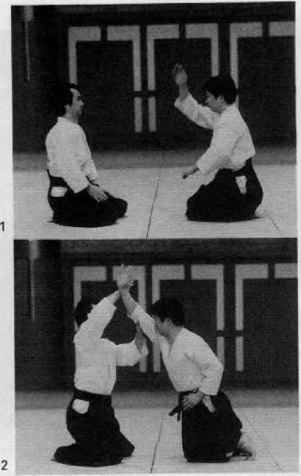 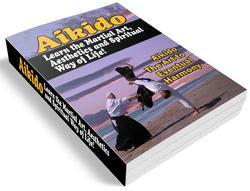 Tori raises his arm in aiki-age and rotates his left hand-sword counterclockwise under uke's right elbow. 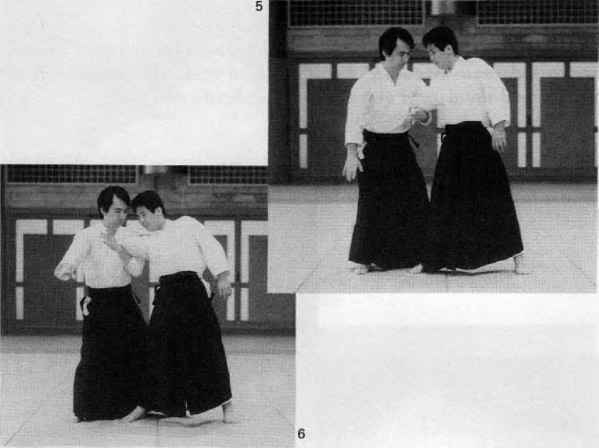 Tori raises his hand-sword under uke's elbow, knocking him off balance, then pins uke's right arm tightly against his body.